Here comes the long-awaited expansion for World of Warcraft: Battle of Azeroth. And it seems that after the Legion’s armies were defeated, peace reigns, but this is not so, because the long feud between the Alliance and Horde armies has not disappeared, only subsided for the time of battle with the common enemy. But it’s time again to cross swords and axes for owning new territories on Azeroth- Zandalar and Kul Tiras! In Battle for Azeroth there will be a completely different leveling system, the two factions will start their way in separate locations. The difficulty of quests and monsters will be scaled to your level, so you can choose from which location to start and which one to move on. But in order to get to the enemy islands you will have to try hard. Otherwise, the leveling of the character in BFA will not be different from the previous patches, a bunch of quests and a lot of monsters that you will have to destroy. As with other additions, our team has prepared a character leveling service in Battle for Azeroth in order to help you quickly reach level 120. You are offered a choice of your character’s speed of leveling, as well as a few related additional services that will make it easier for you to start the game in a new add-on and save a lot of time. This service guarantees that you will be able to start playing WoW immediately as soon as the game servers are active after installing Battle for Azeroth add-on. The completion of the War Campaign will give you access to two additional Mythic dungeons for 5 people (). The Heroic Dungeon loot run will help you acquire some items of ilvl 325+. And with the help of the Heroic Full Gear service you will receive a full set of equipment including 2 parts of Azerite armor and for a while you will be able to engage in more interesting tasks than a long farm of heroic dungeons. Superstar service. Perfectly on time, stream provided as requested. Very very helpful agent on live chat who answers faster than any other company I have known. Cant fault a thing. 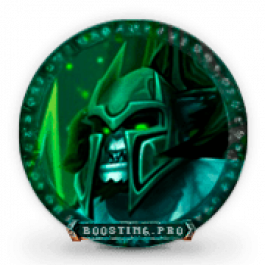 Very fast boosting! Great service. 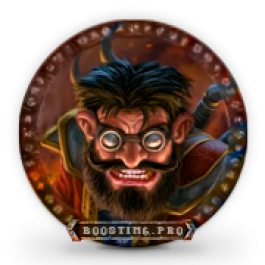 Great boosters, provided me a livestream of the leveling which was hugely appreciated and I knew everything was alright and in order. Classy!